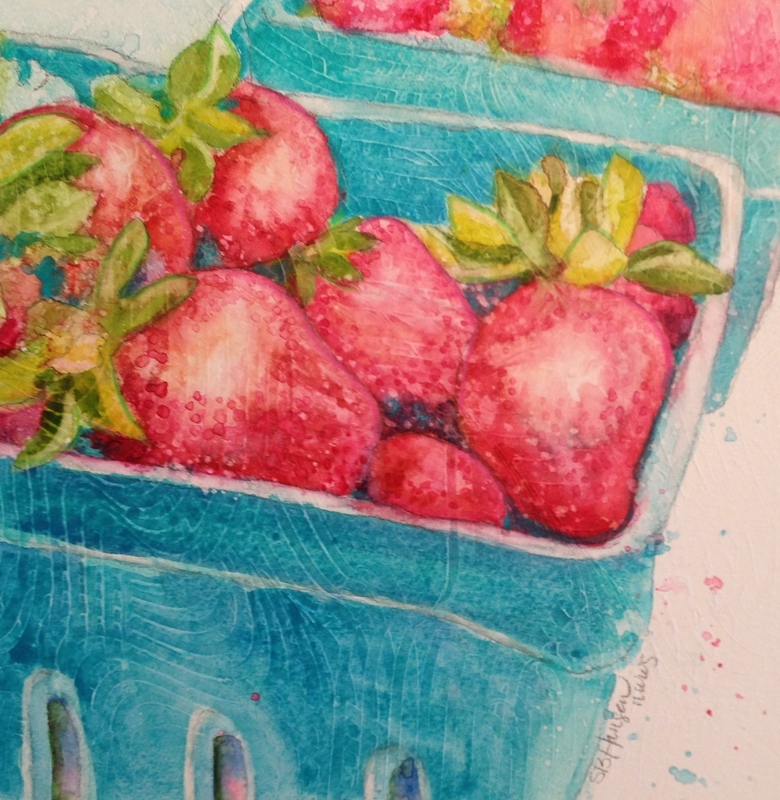 Mmmmm….strawberries. Tangy, sweet, tender and warm-from-the-garden burst of freshness on your tongue. There’s nothing like them. 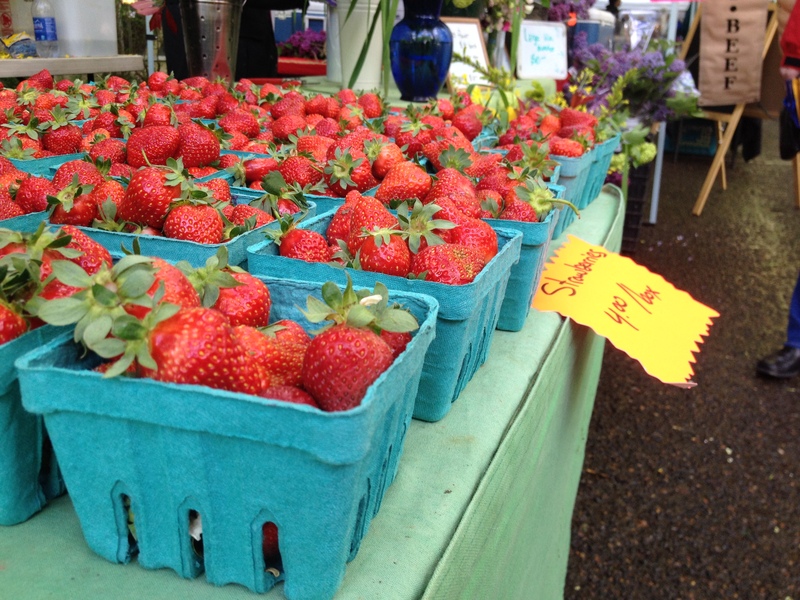 It’s Strawberries from the Market today for Thirty-Dollar Thursday! I took this photo when I went to Portland Saturday Market in March this year. They were an early batch, for sure. They called my name. Yoo-hoo! Yeah, you with the camera. Over here! The strawberries…I can smell them! 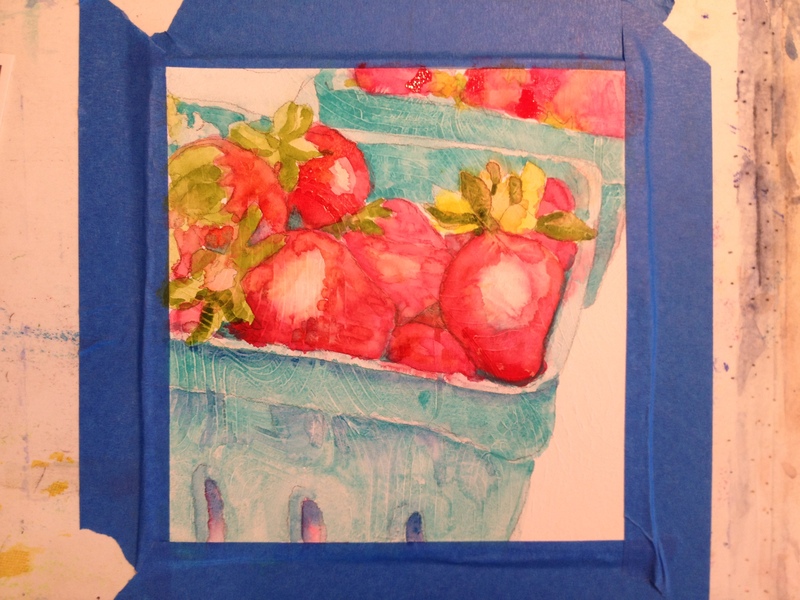 I had fun with the final wash, because after I completely saturated the berries with Quinacridone Red, I covered the containers with plastic wrap and sprayed the berries with water. Then, I lightly dabbed the water off and lifted it back to white. When the berries were dry, I dotted them individually with flecks of red to make them appear to have seeds. Cool, huh? Strawberries at Portland Saturday Market. 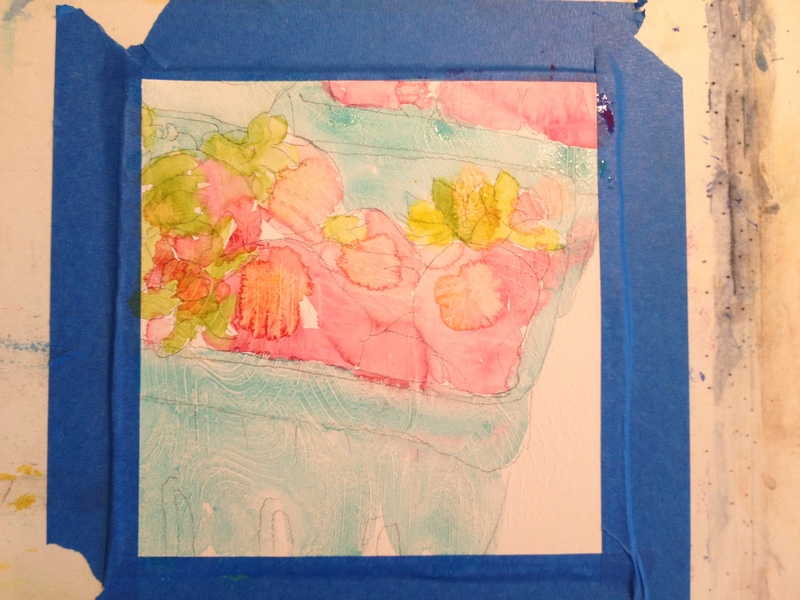 8×8 on gessoed watercolor paper. So here it is! What you have all been waiting for! My weekly Facebook Thirty-Dollar Thursday offering for you all lucky folks out there! Buy it today, as it won’t be thirty dollars(plus shipping) again! 🙂 Follow me for more offers: SBHansenART on Facebook. Love to you all and enjoy your Thursday. Maybe have a strawberry or two. I know I will.